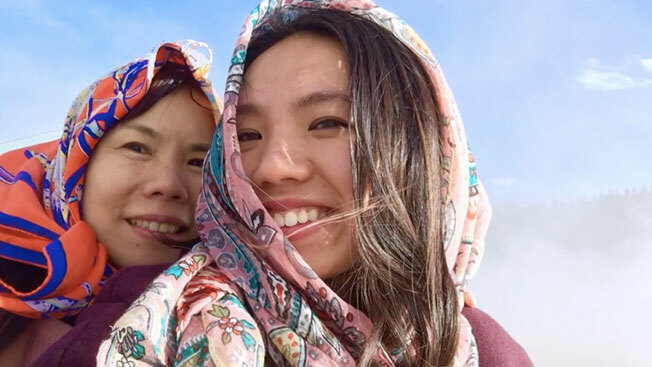 Building on Apple's "Shot on iPhone" campaign, TBWA\Media Arts Lab gives us "The Human Family," a new spot with Maya Angelou narrating her poem "The Human Family." The structure is simple, and reminiscent of a wedding montage (if only the latter were this short!). Against a white background, photos and videos of different faces and families—of all colors, sizes, ages and orientations—flicker by, with the credit of each iPhone photographer underneath. As they move past us and into oblivion, like the firefly residue of memory, the late Maya Angelou reads her poem "The Human Family" in the background. The spot is slated to air Friday during the Opening Ceremonies of the Rio Olympics. It's already gone live across Apple's social media channels and on the website, where a full subsite is devoted to the "Shot on iPhone" campaign. The Olympics is a time when we commonly celebrate both differences and unity, and the ad elegantly walks the line between both. The triumph of "The Human Family"—both the ad and the poem—is the warm embrace of the qualities that make us unique (and beloved) in the eyes of those who love us. It's that universal desire to love and connect that produces commonalities that are more important than the differences. This is a pretty nice message in a climate currently obsessed with stoking our differences to the point of explosion. As analyst Jan Dawson pointed out on Twitter, "Apple's Olympics ad is a nice antidote to all that's going on in the world (and the US in particular) at the moment." The full text of Dr. Maya Angelou's poem appears below. The ad doesn't use all of it, probably for time and clarity, but it isn't a disservice. You can also listen to Dr. Angelou reading it, unadorned by marketing music, on Scientific American.